Custom design the highest quality rubber wristband on the market at a competitive price. 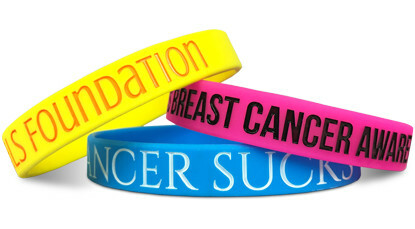 Our silicone wristbands are the perfect product for your fundraiser, band or brand. We've been in the business since 2007 and you won't find any negative reviews online. Why? Not because we're perfect. We're humans, after all. It's because we won't stop until you're 100% satisfied with your experience. 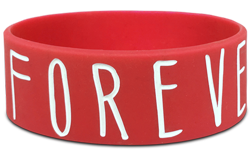 Order custom silicone wristbands through us and be happy. Guaranteed. 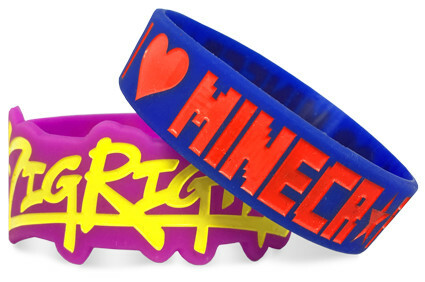 Start Making Your Rubber Wristbands!